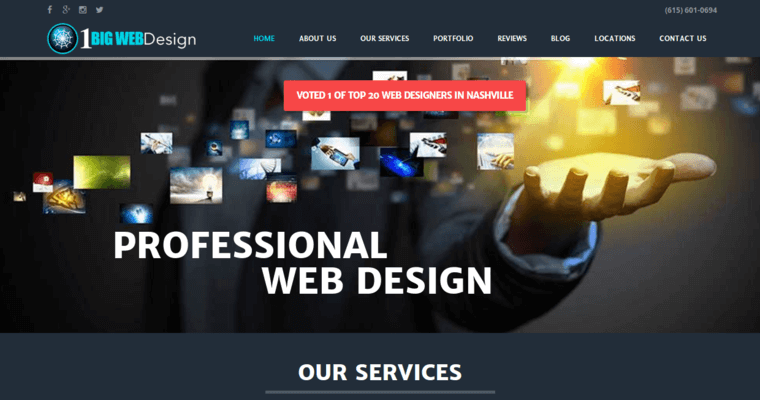 1 Big Web Design Firm is located in Tennessee and Texas. 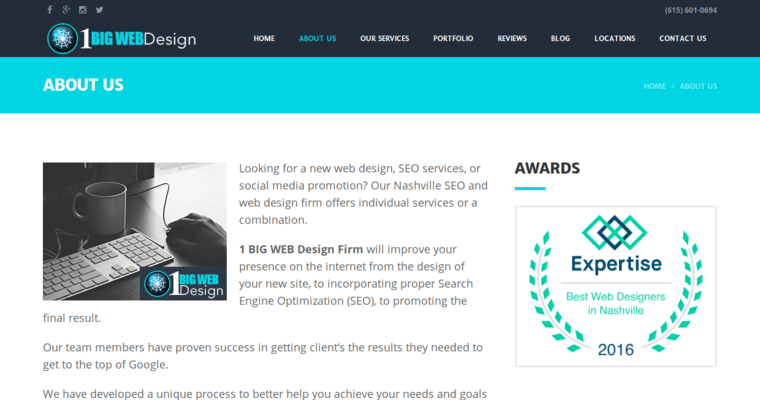 The firm uses web design, SEO and marketing to help you reach your business goals. A research phase is the first step to creating a successful website. The team researches your goals, products or services, customers and overall business. This information is used to create a professional website using the WordPress platform. Search engine optimization is used to increase your ranking on search engines. You do not have to worry about poor content or keyword stuffing. The team uses white-hat SEO techniques to bring in real traffic. The firm also offers an SEO audit to figure out what needs improvement on your website. They also use social media marketing to reach your target audience. 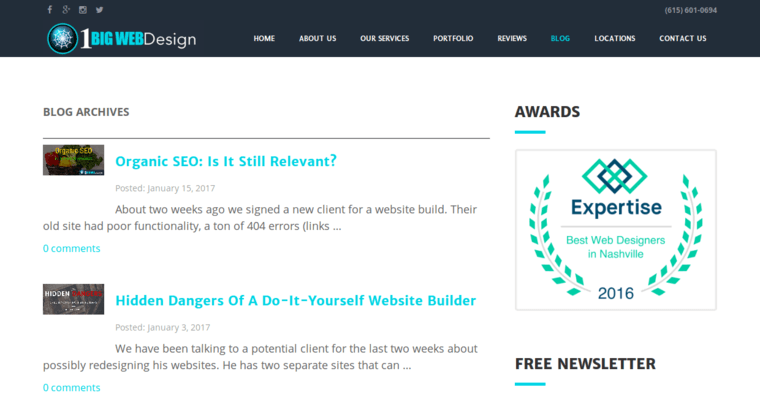 1 Big Web Design Firm has worked with clients such as the Spin Doctors Music Group, Pinehurst Airport Shuttle and Sophie’s Fine Gifts and Collectibles.